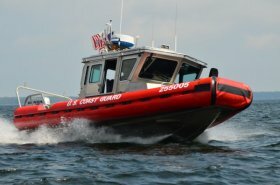 The United States Coast Guard Auxiliary was established by Congress in 1939 to assist the Coast Guard in promoting boating safety. 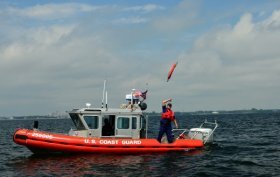 It boasts nearly 33, 000 members from all walks of life who receive special training so that they may be a functional part of Team Coast Guard. Here are just a few examples of services provided: public education, vessel safety checks, safety patrols, search and rescue, and marine environmental protection. Station Alpena AUXOP is constantly striving to be "Semper Paratus" (Always Ready). Station Alpena is an Active Duty U.S. Coast Guard Station, with a full time officer in charge (Chief Boatswain Mate) along with an Machinery Technician. Flotilla 26-04 operates alongside the Active Duty to handle many of the Coast Guard's missions. 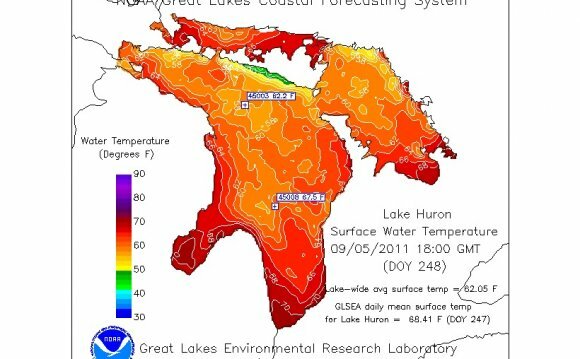 Station Alpena has an Area of Responsibility which runs from Sturgeon point to Stone Port Harbor. The Auxiliarists are in no way a part of any law enforcement missions performed by the Active Duty. Auxiliarists throughout the United States volunteer many hours annually to benefit other boaters and their families. The Coast Guard Auxiliary is always looking for volunteers to help support the Coast Guard's mission to educate and assist public boaters. We serve our country and our community by contributing to the safety and security of our citizens, ports, waterways, and coastal regions. To be a part of this organization, which has an honorable history and mission, start by visiting the Membership link below. Membership in the Auxiliary is open to all U.S. citizens who wish to volunteer their time and talents in serving your community. Links to non-Coast Guard entities are not under the control of the United States Coast Guard or the United States Coast Guard Auxiliary, and are provided for the convenience of our visitors. They do not, in any way, constitute an endorsement of the linked pages or any commercial or private issues or products presented there. We cannot make any warranty or representation concerning the content of these sites, or secondary sites from the pages to which they link.